The Young and the Restless (Y&R) spoilers tease that an Adam Newman return could be in the works. There have been some signs lately, but the show’s staying tight-lipped on the possible recast. Of course, Michael Muhney’s name has also been tossed around by Y&R viewers. Many fans would love to see Muhney reprise his role, but he’s not camera ready at the moment! 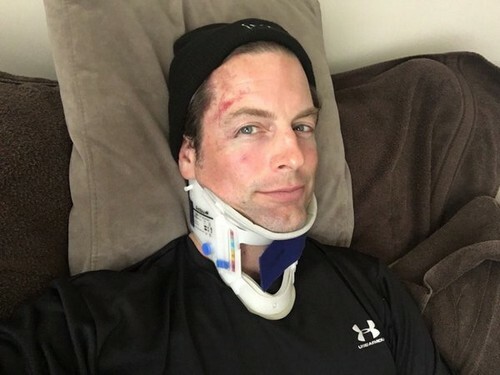 Michael Muhney recently posted some Twitter updates on a terrible injury. “Stung in the face by a bee and now the entire left side is swollen,” Muhney said. “I look like a split-screen ‘before & after’ pic of a weight loss ad.” Yikes! That bee sting must’ve been a real doozy. The painful ordeal certainly couldn’t have been fun for the former Young and the Restless star. Nevertheless, things should get back to normal soon. At least Muhney’s career is looking up right now. 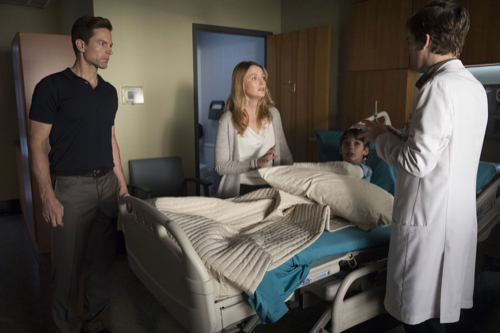 On October 23, Muhney will be featured in an episode of The Good Doctor. ABC’s new medical show is really taking off with viewers. Muhney will undoubtedly get a lot of exposure thanks to his latest guest gig. The airing of this episode could lead to some much-need buzz. Michael Muhney was fired from Y&R after some unprofessional behavior, but could guest spots like this score him another chance? Anything’s possible. Once Muhney recovers from his bee sting, you never know when he might get back to work in Genoa City. 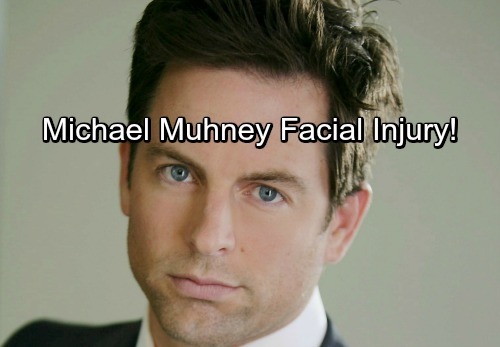 This isn’t the first time Muhney’s been in the news for an unfortunate injury. Back in April of 2016, Muhney took a bad spill off a bicycle. He was taking part in an intense bike race when he lost control and hit the asphalt at 32 mph. Muhney suffered a concussion along with some brutal scrapes (see pic below). After dealing with that experience, a bee sting was probably no biggie! Let’s hope Muhney recovers quickly and can stay injury-free for a while. As for Adam’s future on Y&R, we’ll keep you posted as other details emerge. The Young and the Restless spoilers suggest that the drama will heat up either way. Stick with the CBS soap and don’t for the latest Young and the Restless spoilers, updates and news. Stung in the face by a bee and now the entire left side is swollen. I look like a split-screen “before & after” pic of a weight loss ad.